oh the cosyness and all the soft blankets and candles plus a hot chocolate or tea in hand, thats what i love about autumn. having a hot bath, hot drinks and fluffy socks on is possible and when i look outside, its rainy and stormy so i can have a pamper day without feeling guilty. 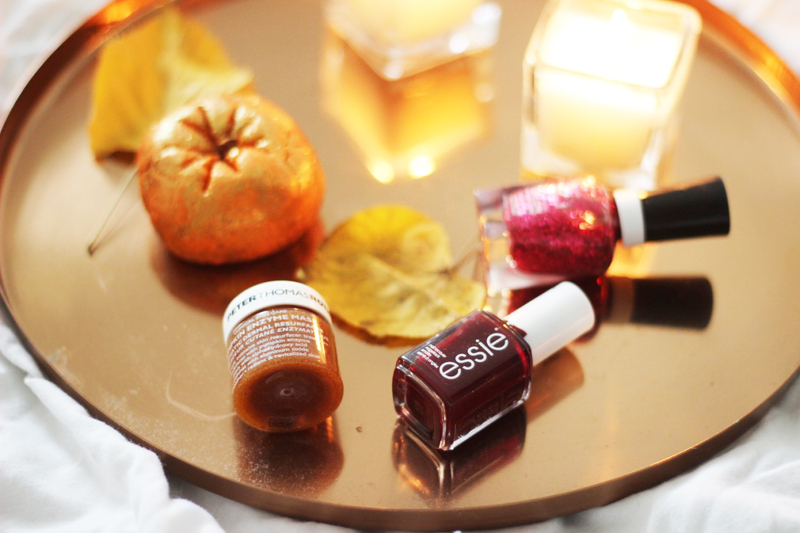 the cosy feeling is only one reason why i prefer autumn and winter over summer any day and in todays post which i’m writing whilst being cuddled up on the sofa is all about some autumn pamper essentials. just a few products which will make you feel better when its cold outside and you want to make yourself feel good after a long day at work or at uni. when i come home after busy day i like to unwind and give myself a few hours just to myself. a classic to pamper is taking a bath, especially with a lush product. 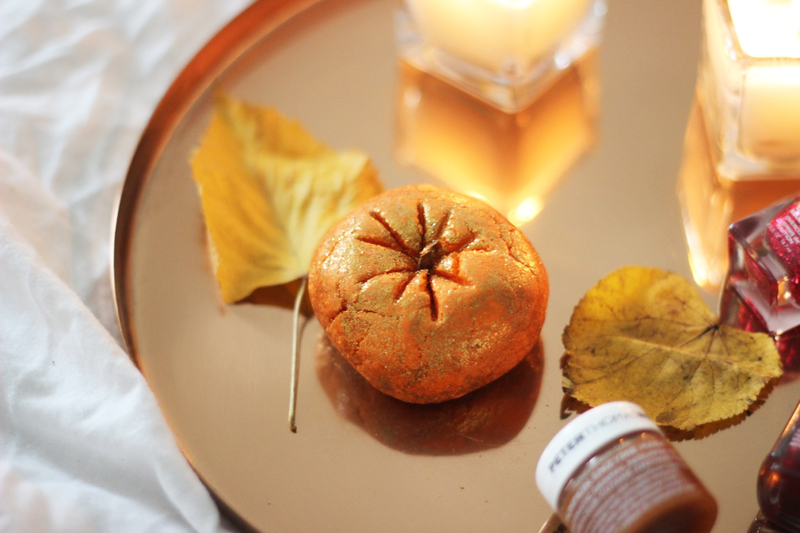 lush has just launched their halloween range and everyone is going mental for it and rightly so. all of their products are so seasonal, smell amazing and just make a bath perfect. the sparkly pumpkin bubble bath is one of them and it was in their range last year too. even though sparkly bath bombs leave your bath tub looking like a mess they are just so pretty and all the lovely bubbles make me feel so cosy. i know lush is typical for any blogger gal but i just love it. face masks are a must for a good pamper and i do them on quite a regular basis. 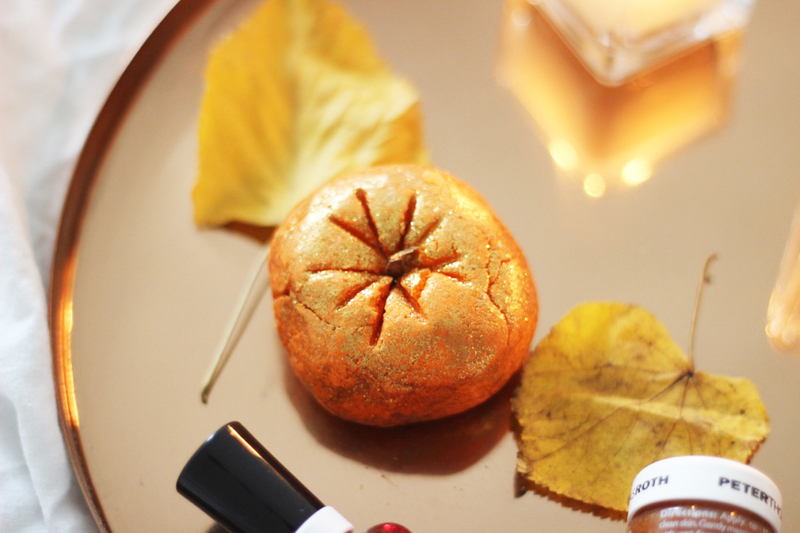 one that just screams autumn is the peter thomas roth pumpkin enzyme mask. the smell is just to die for. i love it so much. its supposed to make the skin appear more radiant and soft. its also meant to smooth the skin texture and its just so nice. my skin feels a lot better after using it and since i get quite dehydrated skin, i need a radiance booster at any time. giving myself a nice little manicure is a really important part of pampering myself and if you don’t have a lot of time, painting your nails is a treat to yourself but it doesn’t take ages. 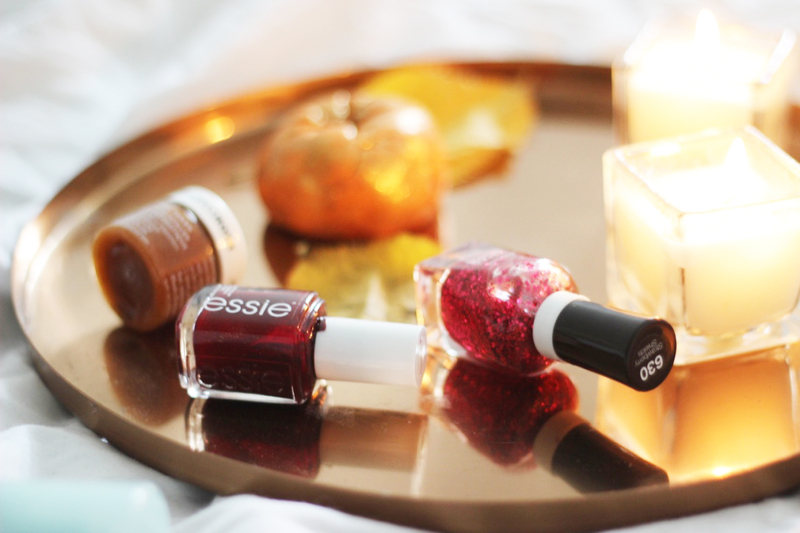 as its getting colder, i tend to go for reds a lot and a bit of glitter, off course. essie bordeaux is such a classic dark wine coloured red. it looks beautiful on the nails. 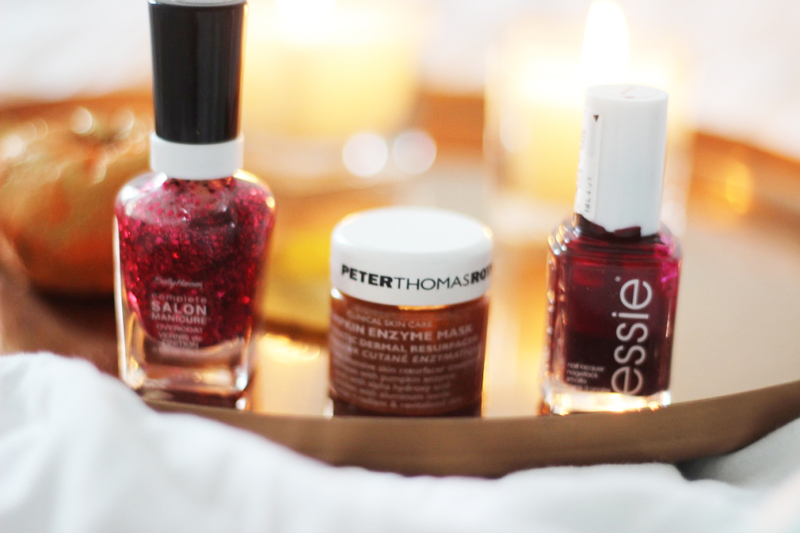 when it comes to glitter i like adding red one too. 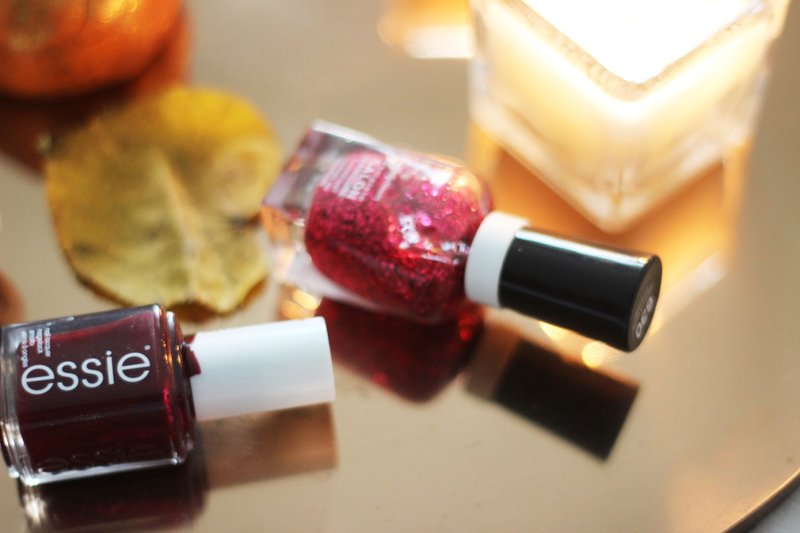 the sally hansen one in strawberry shields is beautiful and adds just the right amount of sparkle. so here we go. 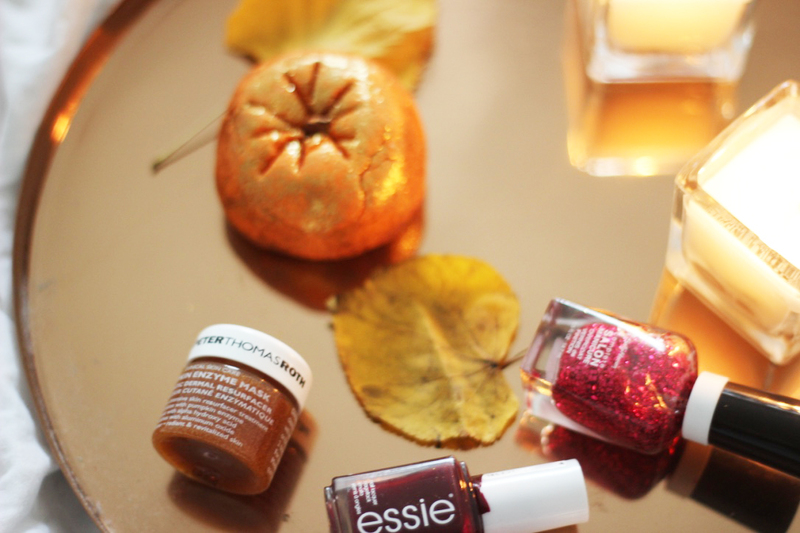 my autumn pamper items. 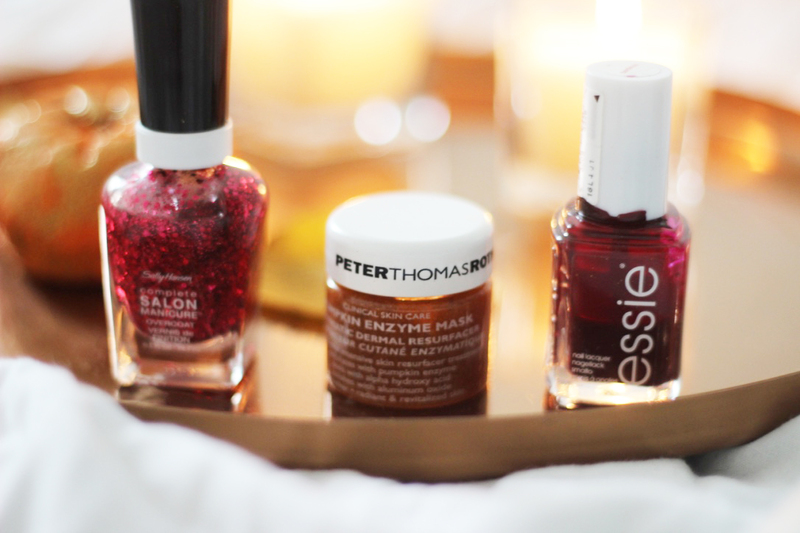 what are yours and when was your last proper pamper session? let me know.